Sherlock Holmes and the Cthulhu Mythos. Two great tastes that taste great together? Frogware, longtime steward of the Sherlock Holmes license in video games, decided to swing for the fences with their first fully 3D outing. Holmes and Watson are tasked with investigating the disappearance of a servant from the south seas, and are quickly drawn into a conspiracy to smuggle jewels, manufacture drugs, and create an army of pawns who can only speak in Elder chants. The premise is unassailable, but the execution leaves a lot to be desired. Tune in to see all of the awkwardly executed puzzles, and also the disastrous collision of several storylines at the end of the game when Frogware remembers that, y’know, things need to wrap up. 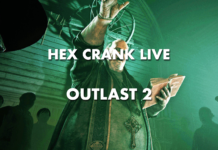 Check out the stream playlist below, and watch the future Hex Crank Live streams at the Duckfeed.tv Twitch Channel. 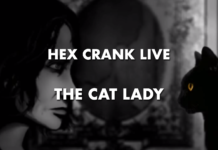 Hex Crank is a blog about horror games, written by Kole Ross. Support this work by going to Patreon.com/HexCrank! 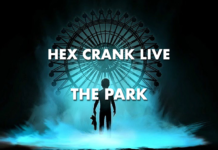 Hex Crank Live is a show where Kole streams a horror game in its entirety. It normally happens on Twitch on Friday and Saturday evenings at 8:30pm. You can catch the archives here, or on YouTube.